`Devon`s Best` Determined to Triumph! But, the road has been hard due to a long standing slipping clutch issue, and it has been time to tackle and mend Rob`s Triumph Spitfire named `Devon`s Best` before the numerous summer events and good weather! However, all has not been lost, after an array of jacks, nuts and bolts and WD40.....VOILA.... Rob and his trusty co pilot, Adam, seemed to have solved the problem. Some new parts are whizzing their way to the rescue as we speak, the car should be back on the road in the next week or so, when you see Rob out and about, please feel free to beep your horn at him and give him a wave. 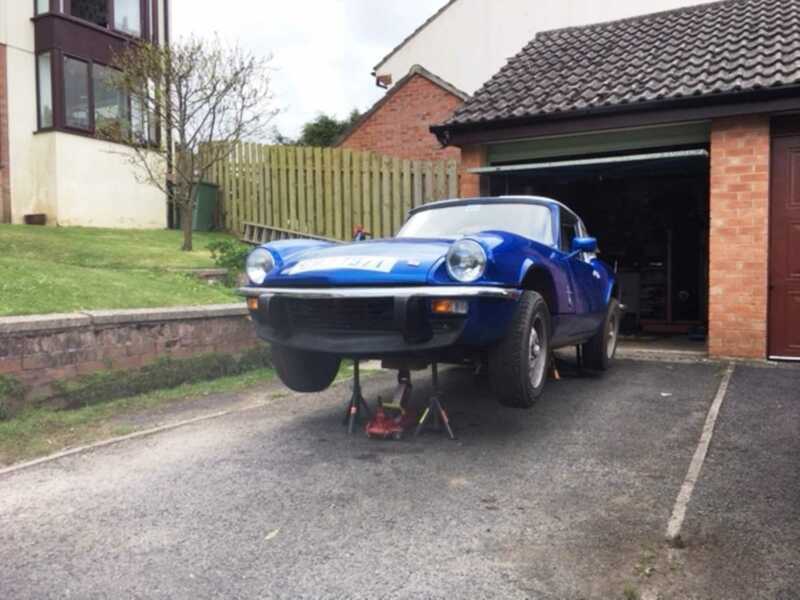 Already, his 1979 Triumph Spitfire, `Devon`s Best`, has been getting a make over with the logos of numerous local companies who have been invited to sponsor parts of the car. The first logo was of course Saunders & Lingard, but bringing up a quick second has been the Newton Abbot based The Coffee Company. Throughout the year and leading up to the `Round Britain Reliability Run` in October, Rob will be bringing `Devon`s Best` to various classic car events throughout South Devon. We will be bringing you up to date news on all of `Devon`s Best`s` antics throughout the year. The `Round Britain Reliability Run` will be held from Friday 5th October to Sunday 7th October 2018 and will be in aid of Epilepsy Research UK and the hope is to raise over £50,000.00 to build upon the sum of over £600,000.00 raised by previous RBRRs for UK Charities.